I’ll be teaching a class that is part of my teacher training certification program at Moksha Yoga on Thursday March 3rd from 6-8pm. 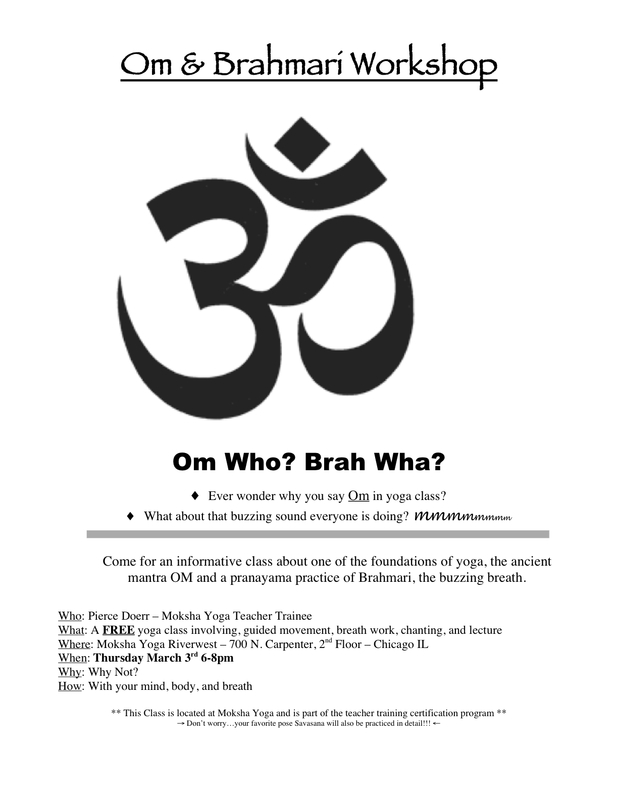 It will be part asana (poses), lecture, chanting, and a pranayama (guided breathing) class focused on OM and Brahmari. Don’t know what that means??? It doesn’t matter! Just come for a new yoga experience with me!